Ok so I thought I would put this list of things that you can do to make sure your site is optimised for search engines. This is called on-page SEO because we are doing things on our own site to optimise it for the search engines like Google and Bing. 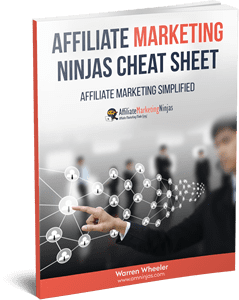 When ever I set up a new affiliate website I always make sure I follow this checklist because it will make things easier for you down the track. First, you must understand that search engines are always changing their algorithms and the way they rank websites in their search results, so this checklist may change over time. Are you going to show your website with or without www in front of your domain name? This is entirely up to you, I have amninjas without www so it’s easier for me to tell people where to go. Now, if you type in the www version it will still get you to the site because it redirects you to the non www version anyway. Once you make the decision you then tell Google and Bing that this is how you want your website seen in their search results. When setting up WordPress or which ever content management system you use, it’s important to have SEO friendly URLS and the shorter they are the better. With WordPress you can do this in your Settings/Permilinks section. Change this to show the post name. You don’t want long URLS with dates and ID numbers because it will only make your URLS longer. When naming your pages, try and keep the URL short as possible as well. Yoast SEO would have to be one of my favorite plugins for SEO. This plugin allows you to have full control of your meta tags, gives you a checklist for readability and keyword relevance, creates a sitemap, enable breadcrumbs, adds social and schema markup, and much more. It’s possibly the most popular SEO plugin for WordPress, with good reason! Once installed it gives you all the options you need to fully optimise your pages for the search engines. 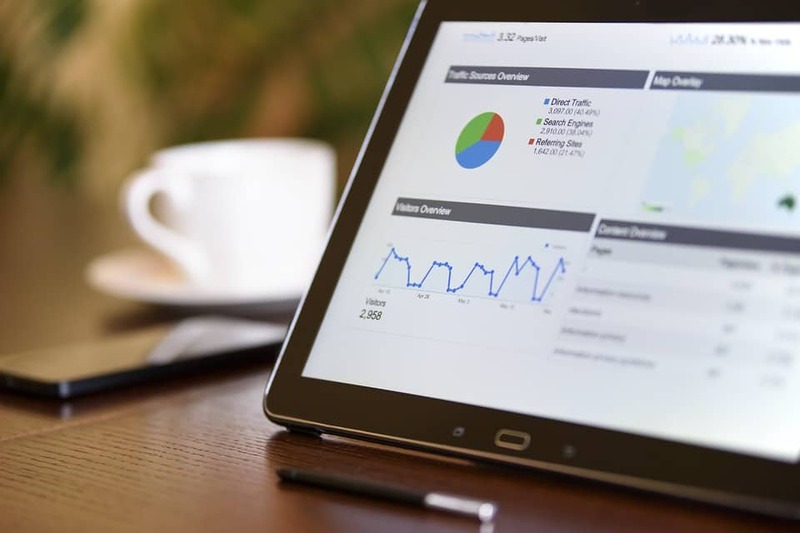 Google Analytics is a must in my opinion because it tells you a lot of information about what’s happening on your site and where your visitors are coming from. This gives you some insights so you can monitor and tweak your content so it’s optimised for search engines as well. It’s easy to install the code and a lot of WordPress themes have an area you can paste it. Submit Your Site To Google Search Console (Google Webmaster Tools). Google Search Console allows you to monitor how Google is ranking your site and gives you data that you can use to optimise your site for better rankings. Once submitted, you can then tell Google how you want your site to be seen. So if you choose the www or non www version you can tell Google which you prefer to use. You can also Fetch as Google when ever you add new pages or posts, submit a sitemap to be crawled and check for any errors that Google have picked up when crawling your site. Something I like doing is checking where my pages are ranking and what search terms are being picked up. If I’m ranking on page 2 or 3 for a keyword, I can have a look at the search queries, check my CTR (click through rate) and optimise my meta title and description to make sure it’s more optimised when being displayed in Googles search results. So, I change these tags to something more appealing. The optimised title creates some curiosity so people are more inclined to click and it shows that it is recent. Another cool thing you can do in Google Search Console is set your targeting. You can choose which country you want your site to target. That way if you have a site only targeting USA, Google will display your rankings to those people more. Header Tag Optimisation – H1, H2, H3 ect.. Your H1 header tag and other headers are a great way to capture peoples attention to let them know what your content is about. You can also optimise these headers for search engines. I always try and include my focus keyword within the H1 tag and in one or two of the H3 tags. Normally I only use H1 and H3 tags but that’s just my preference. Each page should only have ONE H1 header. I then break my content up with H3 headers and will include different variations of my main keyword or use related terms so search engine crawlers can easily understand what my page is all about. When optimising your site you also have to be careful not to OVER optimise. Stuffing your site with your keywords is only going to do more harm than good which is why I always suggest to write your articles and reviews so they are as natural as possible. When writing, I don’t even really worry about my main keyword because I write for the reader. The thing you need to start doing if you’re not already, is provide value – give them the answers they are looking for. This can be a little tricky, depending on your WordPress theme, but I always try and make my posts or pages only display content that is highly related to the keyword or topic I’m writing about. This includes only showing certain posts in your sidebar or disabling the sidebar all together. In my content I only link out to other pages that are related to that piece of content as well. That way search engine crawlers will know exactly what my content is all about. This plugin allows you to create customised sidebars where you can add widgets of your choice. I normally add a table of contents (TOC plugin, a banner ad promoting the product I’m pushing or show posts only related to that page. A lot of people skip this or are either too lazy to do it or just don’t know the benefits it gives, but you can do some easy tweaks to optimise your images. When creating your images, save them with your keyword that describes the image as best as possible. You also want to add information in your alt tag and images title tag. That way when search engines can understand what you image is about. It’s also good for accessibility (people who can’t see or read what’s on your screen). Also, try and save your images so they are small file sizes. That way they load fast – and we all know Google loves fast loading websites. Yoast SEO plugin will create a sitemap for you but you do have to enable the settings so it is functioning. I recommend using the Yoast sitemap because it’s easy to use and does the job fine. Once you have it enabled, submit it to Google and Bing so their crawlers can easily access it and crawl each page when you update your site. If you don’t like Yoast SEO sitemap, there is Google XML sitemaps which is also very good. BUT, only have the one enabled because it will create multiple sitemaps and there’s no point in that. No Follow Your Affiliate Links and Pages That Aren’t Important. We don’t want search engines crawling our affiliate links so we need to add a no-follow tag which looks like this – rel=”nofollow”. There are plugins which will do this for your affiliate links automatically – I use Pretty Link Light. It’s free and easy to use. As for your pages like your Privacy, Contact and Disclaimer or any pages like these I always rel=”nofollow” these pages as well because they’re not relevant to the content on my site. I only link to content that is relevant to my keyword. Google loves content, so why not give it what it wants right? These days it’s a lot harder to rank content with 400 words compared to what it used to be. Answer all the questions that someone will be wanting to know about the topic or product you’re writing about. The more value you can give the reader the more likely they are to share it, bookmark your page or link to it on their own sites. Plus, if it answers all the potential questions and helps them make their decision – you often make more sales. The good thing about big content is, you will get ranked for other keyword phrases and different words that are on your site. Sometimes this can bring in targeted traffic from keywords that you didn’t even think of. Linking to other pages on your site from your article to related content is another great way to show Googles crawlers what your website is all about. It’s also a great way to get those pages crawled as well. The only time I don’t like to link out to other content on my site is on review pages. Because the main focus of these review pages is to get the reader to your affiliate link (These people are ready to buy, which is why they’re searching for reviews), so I don’t have any leaks or very linked leaks to other pages (other than my affiliate link). It’s also good practice to make your articles or pages as resourceful as possible. So, linking out to other related websites that are on topic and will help the reader get the information they need will show the search engines that you’re there to help. I normally search for related authority sites that has other information on certain things mentioned in my articles. You can also include a resources list at the bottom of your article to show where you found information or if you’re sharing research or images from other sites – give them credit. I have a question for you ! When trying to show your resourcefulness via linking to authority sites , do you make those links no-follow too ? My guess is that you do , but then again , google would ignore them , wouldn’t it ? As for your question – no, I don’t. Also, don’t just link out to wikipedia like everyone else. I find sites or articles that will actually benefit the reader and help them understand what I’m linking too. Another thing I do is instead of linking words as the anchor text I will use numbers. For example – the toxicity level is very high according to Harvard ( < ahref="#">1 ).Then link the number to that article. This still shows that you’re being resourceful by linking to the resource and also you avoid losing potential visitor because not as many click on the numbers leaving your site. The links I do ‘nofollow’ are affiliate links and pages like Privacy, Terms of Service and contact pages. Links in comments of most wordpress blogs are already nofollow so I don’t worry about them. Oh I see now … thanks for clarifying and thanks for that coding tip too as I was ready to ask about that LOL ! hey Wazza, you talked about using h1 and h3 tags but did not say anything about h2 tags.